The Monadnock Building, also known as Monadnock Block, is a historic proto-skyscraper in the Loop district of downtown Chicago, Illinois. 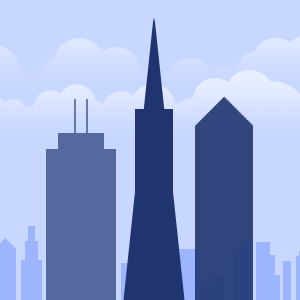 It is arguably the world's first skyscraper. The Monadnock is the tallest commercial building in the world with masonry load-bearing walls. It is located at 53 West Jackson Blvd. The seventeen-story building stands 197 feet (60 meters) tall. 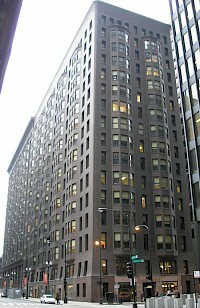 The Montauk Building - also often referred to as Montauk Block - was a high-rise building in Chicago, Illinois. Designed by John Wellborn Root Sr. and Daniel Burnham, it was built in 1882–1883, and was demolished in 1902. According to Thomas Talmadge, "What Chartres was to the Gothic cathedral, the Montauk Block was to the high commercial building". 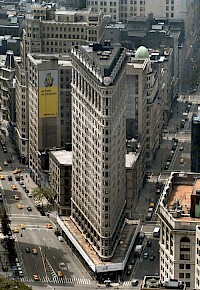 The Reliance Building is the first skyscraper to have large plate glass windows make up the majority of its surface area, foreshadowing a feature of skyscrapers that would become dominant in the 20th century. 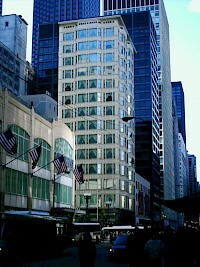 It is located at 32 North State Street, Chicago, Illinois, and as of 2006 houses the Hotel Burnham. 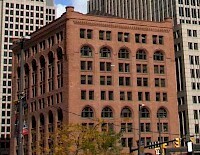 The Reliance building was listed on the National Register of Historic Places in 1970; and on January 7, 1976, it was designated a National Historic Landmark.